On January 27, 2019, Ronacher McKenzie Geoscience and Condor Consulting of Denver, Colorado, USA, announced that the two companies entered into a strategic alliance to augment each other’s integrated consulting and field services. 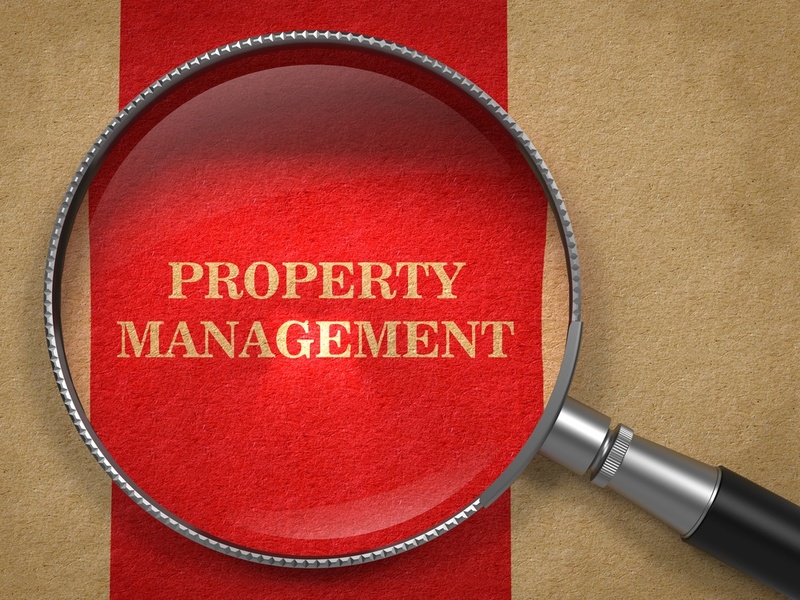 “We are thrilled to partner with Condor Consulting and their Canadian subsidiary, Condor North. This collaboration will allow RonacherMcKenzie to expand the geophysical services we offer our clients, including magnetotellurics; Condor will have access to our geologists who are experts in their fields” says Ronacher McKenzie’s Principal Geologist Elisabeth Ronacher. Ronacher McKenzie Geoscience was represented at the annual Saskatchewan Open House held in Saskatoon from December 3-5, 2018 . Our Senior Geologist Tony French was in attendance to take in talks and meet with clients. Tony is one of Ronacher McKenzie’s Saskatchewan-based geoscientists. He has been working in diamond and uranium exploration for over 30 years. Principal Geophysicist Jenna McKenzie was invited to give a talk on the subject of pre-competitive data and how it can be used to Quebec’s advantage at the Quebec Mines conference in Quebec City, on Nov 22, 2018. After extensive research with her co-author Ken Witherly of Condor Consulting, Jenna presented a definition and global overview of pre-competitive data, state of the art technology utilized and recommendations on how Quebec can invest in this data to augment its status as a top mining jurisdiction in the world. A link to the talk can be found here. Ronacher McKenzie Geoscience Inc. had the pleasure of participating in a strategic panel discussion at the Quebec Mines conference in Quebec City, on Nov 21, 2018. Jenna McKenzie, Principal Geophysicist of Ronacher McKenzie, joined several stakeholders in Quebec City to discuss the future needs of geophysics in the province of Quebec. Participating in the discussions were leaders in industry, academia and government. The officials from Quebec Mines asked a variety of questions including which different geophysical technologies. 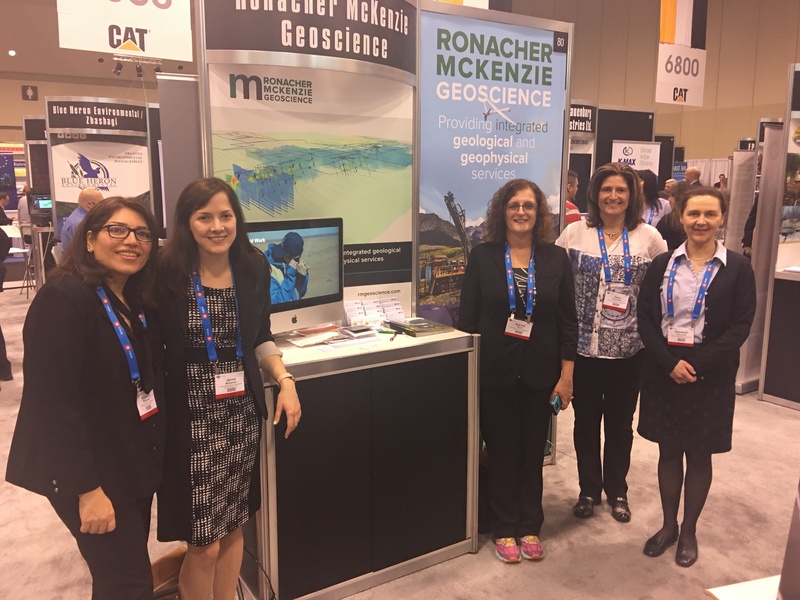 Ronacher McKenzie Geoscience was represented at the Society of Exploration Geophysics (SEG) Annual Meeting in Anaheim, California in October 2018. 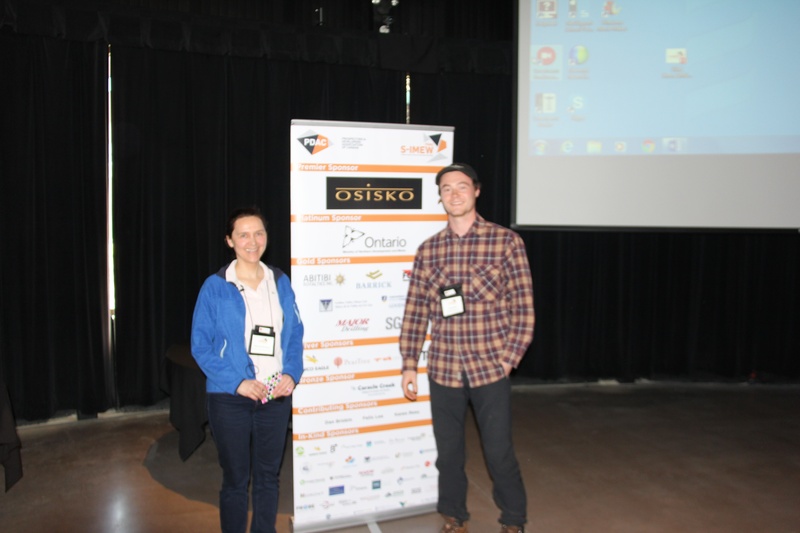 Principal Geophysicist, Jenna McKenzie participated in several of the SEG Mining (SEGMIN) sessions and events. 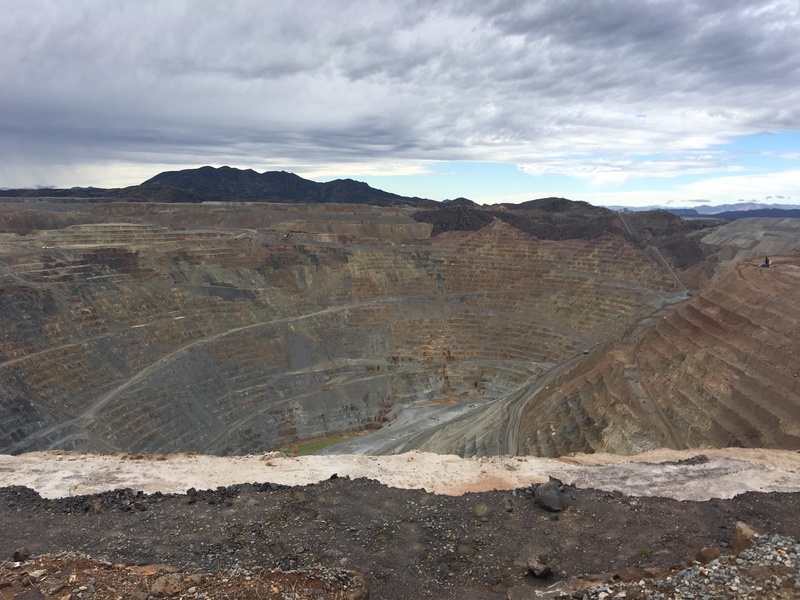 The conference was preceded by a field trip to the porphyry-copper deposit in Bagdad, Arizona. Ronacher McKenzie’s Principal Geologist, Elisabeth Ronacher, attended the Geochemistry of Mineral Deposits Gordon Research Conference in Waterville Valley, NH, United States, from August 5-10, 2018. The Gordon Research Conferences “provide an international forum for the presentation and discussion of frontier research” (www.grc.org). The conference brought together geoscientists from industry, academia and government to discuss the latest advances in ore deposit research (https://www.grc.org/geochemistry-of-mineral-deposits-conference/2018/). The PDAC’s Student Industry Mineral Exploration Workshop (“SIMEW”;http://www.pdac.ca/members/students/s-imew/s-imew-2018) is currently taking place in northern Ontario. Every spring, the PDAC brings together the top geoscience students in the country to participate in this workshop. Electronic mining claim registration and online management of Ontario’s mining lands goes into effect at 10:00 a.m. on Tuesday, April 10, 2018. Ronacher McKenzie Geoscience was amongst the 25000+ attendees at the annual Prospector and Developers Association of Canada in March 2018. Ronacher McKenzie Geoscience attended the AME Roundup in January. It was held in the west wing of the Vancouver Convention Centre, and although not under the beautiful sails like in previous years, the change in location was convenient due to the proximity of the Cambridge House Vancouver Resource Investment Conference. Delegates were happy for the convenience to attend events at both conferences with relative ease.